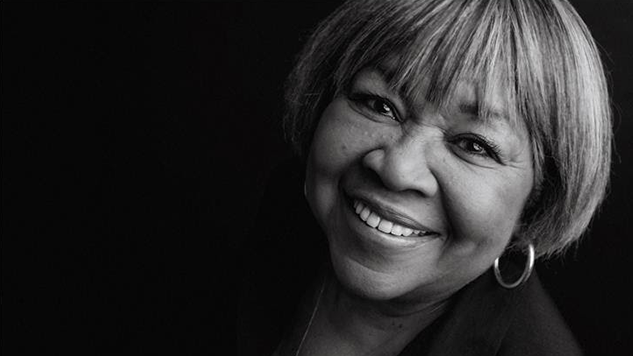 Mavis Staples Previews New Album We Get By with Rousing Anthem "Change"
The forthcoming record, out May 10 via Anti-, and written and produced by Grammy winner Ben Harper, is composed of 11 tracks that Staples says “[deliver] such a strong message.” This message is visualized in the cover art (seen further down), which features the photo “Outside Looking In” by the late photographer, author, musician and director Gordon Parks. The image comes from his Life-published photo essay “The Restraints: Open and Hidden,” focusing on the impact of segregation in the U.S. While some claim that the days of racial segregation are long-gone, economic disparity and discrimination show how racism continues to permeate our country. Staples’ use of Parks’ photography for her album not only helps to deepen her message, but is also a nice tip of the hat considering that she was the 2017 recipient of the Gordon Parks Foundation Award. The foundation was set up in the wake of his 2006 death, and the award is given to those who carry on Parks’ mission to inspire future generations. Listen to “Change” and watch a Paste interview with Staples from Bonnaroo 2011 below. Further down, check out the album art and her forthcoming tour dates, and maybe just fan-girl a bit more with Paste’s SXSW love letter to Staples here.